Hello everyone! I hope you are enjoying an extra day off. Whatever your plans are today, take time to remember those who gave their lives for our freedom. A few of the Trendy Gals made projects for today. Head over to Twine It Up! with Trendy Twine to see the other projects. I made this card using stars drawn and cut from my Cricut. I die cut an oval die to put the stars on and stamp my sentiment. 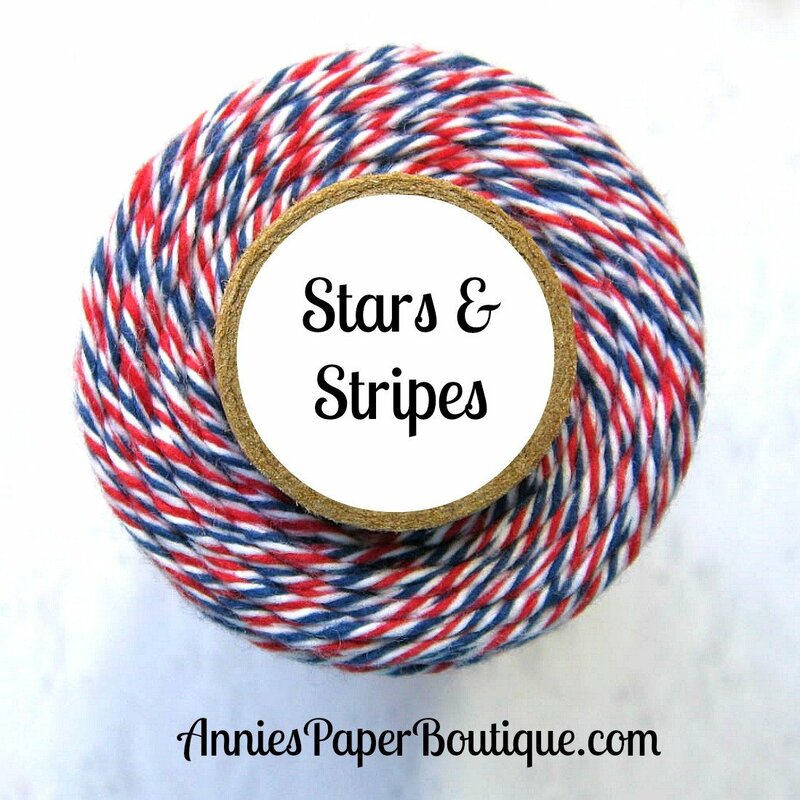 I glued down my Stars & Stripes Trendy Twine around the oval and added a bow. I used pop dots on the stars for some more dimension. Your card is perfectly patriotic Helen! Great job. Very lovely card! 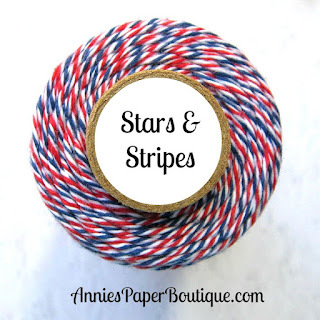 The stars and stripes theme is so perfect for your patriotic card! Helen, this is so festive. Everything looks fantastic together and I love all the different stars. What a terrific card Helen, love the stars they look great with the twine!